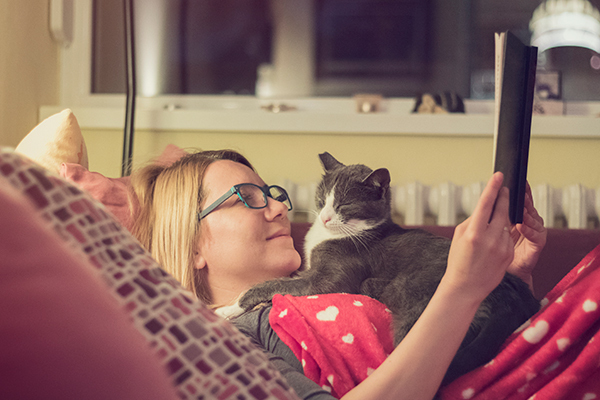 If the name Hannah Shaw doesn’t ring any bells or conjure up any facial recognition, that’s because you probably know her by her better-known, trademarked moniker, Kitten Lady. 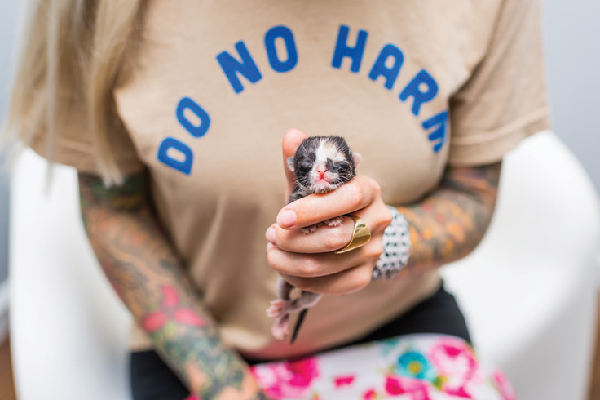 Hannah Shaw, Kitten Lady, co-founded the nonprofit The Orphan Kitten Club. Photography ©Andrew Marttila. 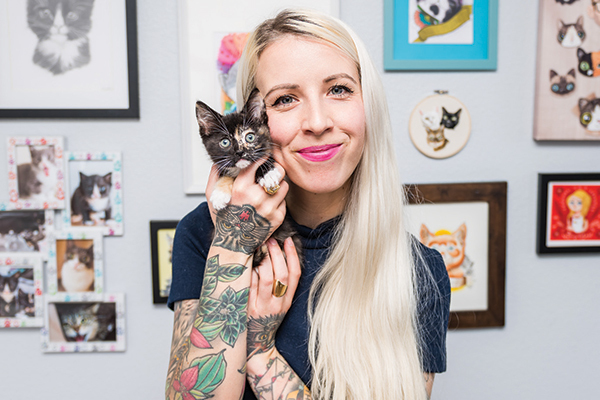 When it comes to kittens, especially newborns, Hannah is a walking encyclopedia on how to care for them and has made a very successful career as a neonatal kitten warrior and kitten advocate educating shelters and cat lovers nationwide on how to give these tiny bundles of fur the best chance of a great future in a forever home. A walk in a Philadelphia park became a life-changing event when Hannah discovered a tiny, black kitten in a tree and rescued her. She took the kitten, later named Coco, home with absolutely no idea what to do next. Surfing the internet, she quickly discovered there was little to no in-depth information available on how to care for such a fragile little creature. 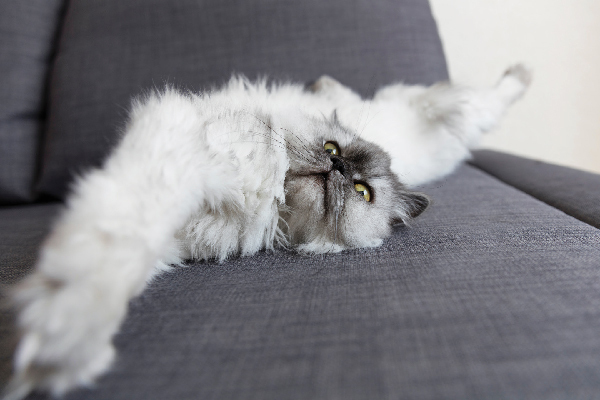 Hannah, who admits she wasn’t even a cat person at the time, decided to change that. Because kittens need around-the-clock care, Hannah would take her rescued kittens with her in a handbag so she could feed them while she worked. People started referring to her as a cat lady and Hannah would correct them, saying no, “I’m a kitten lady.” And the name stuck … Now, a decade later, Hannah affirms that Coco and her sister, Eloise, a foster failure, remain her inspiration and are the impetus behind her fabulous website that details everything a would-be kitten rescuer needs to know in the greatest detail with wonderful instructional videos to enhance the big picture. 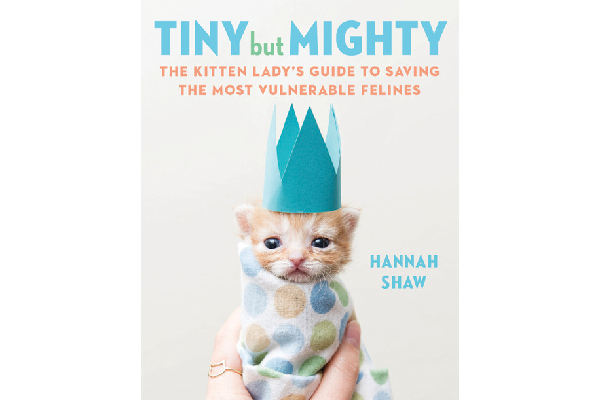 Tiny But Mighty book by Hannah Shaw. She has also channeled all this information into an upcoming book called Tiny But Mighty: The Kitten Lady’s Guide to Saving the Most Vulnerable Felines, which is being touted as “the must-have kitten book for cat lovers, current-and-future rescuers, foster parents, activists and advocates.” And there’s more — she is about to publish a children’s book called Kitten Lady’s Big Book of Little Kittens. “The goal is to educate children about foster care and kitten welfare,” Hannah explains. It’s aimed at kids 4 years old and older. “I poured my heart and soul into these projects,” Hannah says. “Finding a kitten on the streets and caring for it is one aspect. But there are so many tiny kittens at shelters that people don’t know about because they’re behind closed doors. I want to educate people to get involved with their nearest shelter and help those kittens, too. Apart from being very time-intensive and taking up much-needed cage space, they don’t do well in a shelter environment. That’s why foster care is so important,” she stresses. Recently, Hannah and her partner, photographer Andrew Marttila moved to San Diego, California, and started a nonprofit called The Orphan Kitten Club, fostering the tiniest creatures that have medical issues and special needs, taking them in from shelters in the area as well as Los Angeles and Orange Counties. Hannah’s mission has her traveling the country educating and helping shelters with neonatal kittens and encouraging cat lovers to consider fostering. Kittens need round-the-clock care, which is why so many are euthanized instead of saved in foster care. Photography courtesy San Diego Humane Society. In 2009, the San Diego Humane Society opened the world’s first kitten nursery to take care of dozens of neonatal and slightly older homeless kittens. It has become an internationally recognized “blueprint” for kitten rescue organizations nationwide and around the world. The kitten nursery, apart from being decorated like a human baby nursery, runs along the same lines. It’s staffed 24-7 by veterinarians, vet technicians and volunteers. Each kitten has his or her own chart and gets a daily wellness check, every bottle given is meticulously logged (some feeds are every two hours), and vital signs are recorded and monitored. 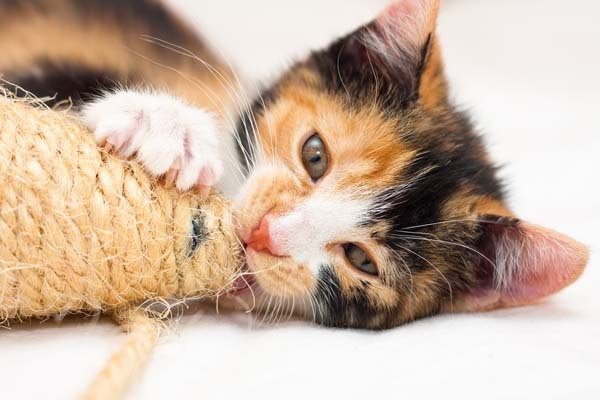 Litters are kept together, and the older kittens are taken from their sleeping cages daily and placed in play centers so they can learn to interact with each other and with humans. To date, more than 13,000 kittens have been rescued and found forever homes. Learn more at sdhumane.org. 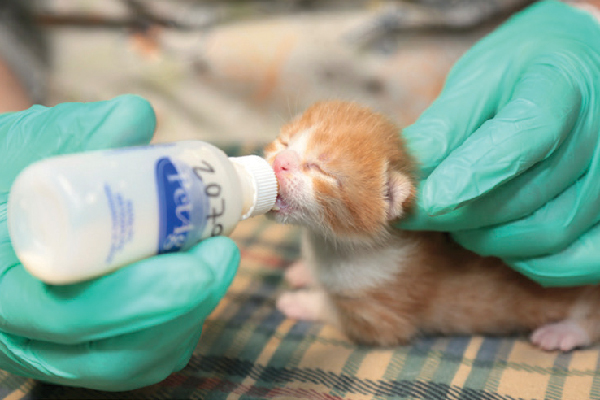 So what can YOU do to help newborn kittens? According to Hannah, if you find a kitten, the first thing to do is look for its mom. “People tend to assume it’s abandoned, but most kittens aren’t orphaned; there is a mom there somewhere. She is either looking for food or not there because you are. It’s much easier to care for a feral mom with her kittens. You can put them in a dog kennel until they are old enough to be weaned and then the mom can be spayed and returned to her feral community if she is not suitable to be adopted, too. “This way you are putting a stop to her having further litters. It’s really important to look at the big picture,” Hannah says. The most important thing to do when you rescue a kitten, especially one that is days or weeks old, is to keep him warm. Human body heat is not enough. If you don’t have a heating pad, Hannah suggests warming a towel in a microwave, making sure it’s not too hot. Remember not to give a tiny kitten milk from your fridge or try and make a “concoction.” These kittens require special formula available from pet stores. 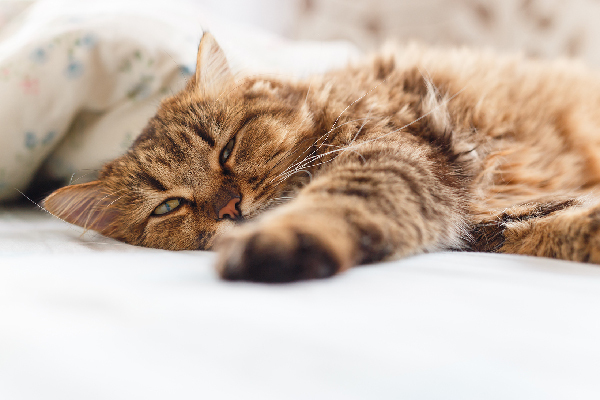 Alternatively, ask a veterinary clinic, if there is one in your city; they may be able to help — especially a 24-hour one if stores are closed. This lady is amazing, what she does for kittens and cats is truly amazing, i follow her on youtube.